The expansion of technological capabilities among firms in developing countries has often been linked to international integration. Access to larger pools of higher-quality intermediate inputs, as well as the opportunity to employ technology developed in other countries, can stimulate firms to undertake innovative activities and develop new products. 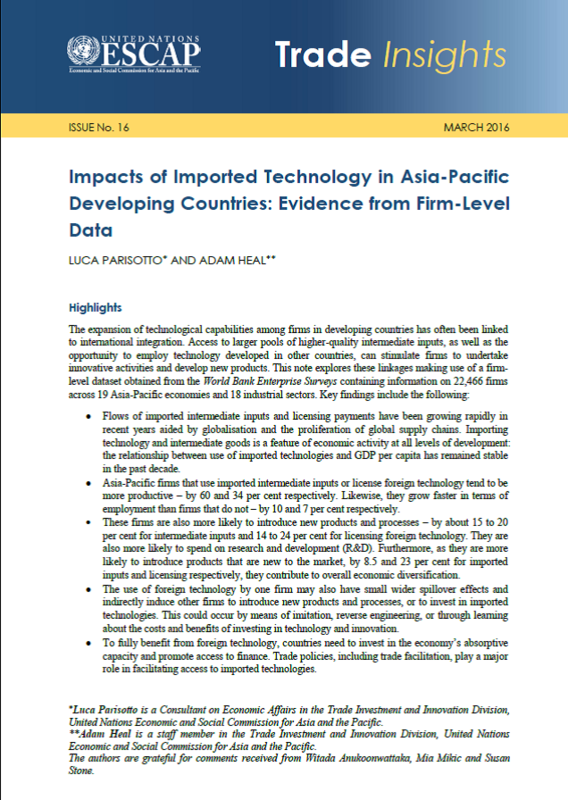 This note explores these linkages making use of a firm-level dataset obtained from the World Bank Enterprise Surveys containing information on 22,466 firms across 19 Asia-Pacific economies and 18 industrial sectors. It finds that Asia-Pacific firms that use imported intermediate inputs or license foreign technology tend to be more productive.